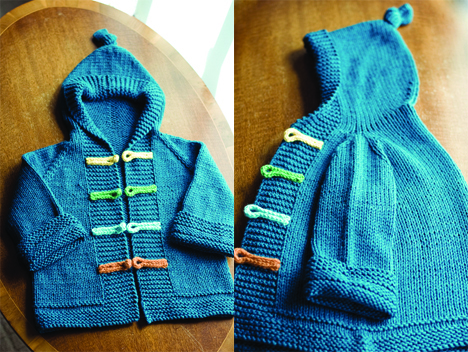 Here’s a little jacket, finished except for the frog-style buttons and closures. It’s called Duck Soup. A few years back, I was inspired by the Duck Soup blogged by Three Bags Full and, well, some things I don’t forget (you know, the really important things, like sweater patterns). Once it’s been buttoned and gifted, hopefully there will be some gratuitous cute baby shots. 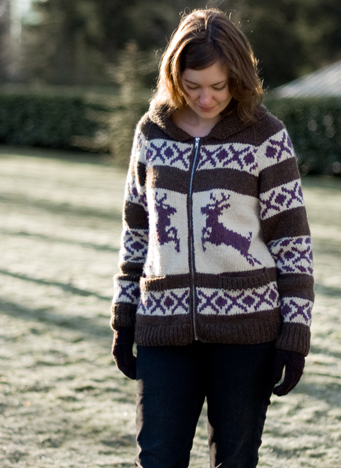 I’ve been wanting to show you this, my reindeer sweater, ever since I finished it last week. I’m so happy with this sweater – the fit and the style. In fact, and this is a first for any article of clothing I’ve ever worn, within 5 minutes of leaving my house on the first day I wore the reindeer sweater, a complete stranger passed me on the skytrain platform and yelled out “That’s an awesome sweater!” I agree. 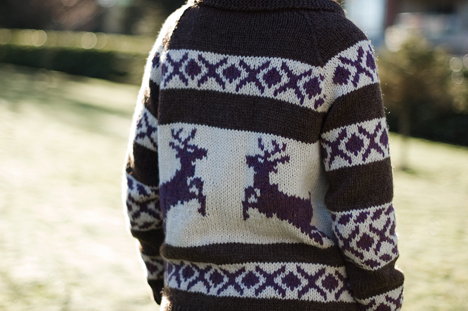 The reindeer sweater, let’s be honest, is really an imitation Cowichan sweater. 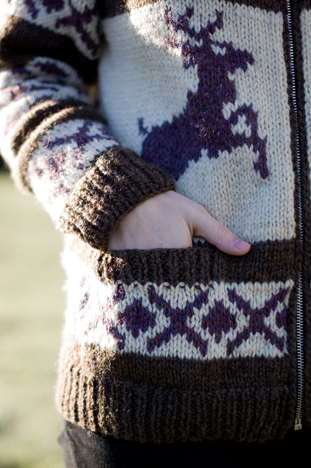 As such, I felt that the body should be knit in one piece as is traditional for Cowichan sweaters. It was a bit more pattern revisions than I realized, because of course I wanted the XO panels to be symmetrical and match up. In fact, by the time I got to knitting the sleeves, I couldn’t face the mental acrobatics of making the charts match up, and I knit them flat. I think a better pattern would have had the charts match up for all sizes, and ideally have the body knit in one piece and the arms knit in the round. What’s more, I knew right away that I didn’t want a muffin-top sweater. You know, the kind that rides up around the waist as soon as you move. Even though I’m a small person, I have a bigger *ahem* bottom area, so I actually knit a large bottom and then added decreases to change it to the medium size somewhere after the first XO panel. Definitely a good move. 1. Baste the fronts together first! A crooked zipper looks pretty trashy. 2. Probably most importantly, choose a zipper that’s a bit shorter than the actual fronts. I know, it doesn’t seem to make sense. But you know the big wavy beer gut your zippered sweater gets when you sit down? A shorter zipper will help fix this problem. 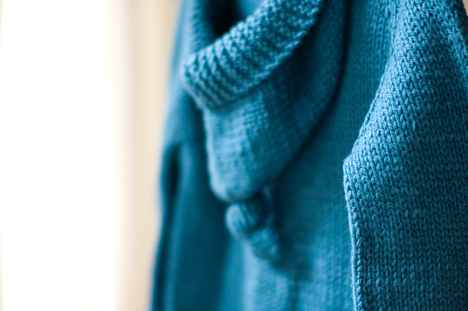 Not too short, though; mine was about 5cm (6%) shorter than the sweater (but placed evenly between the neck and bottom). 3. 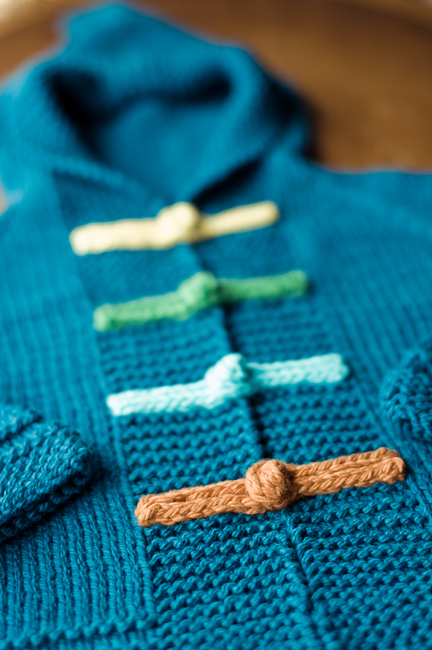 Hand sew the zipper in place – it’s not worth messing with the tension on your sewing machine to accommodate heavy yarn. 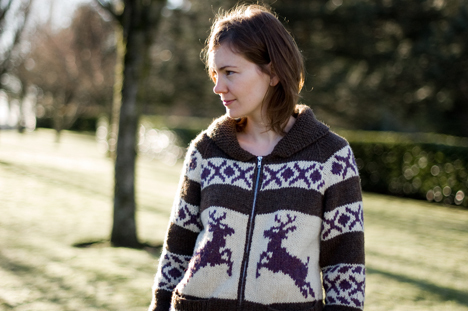 My original post generates more views than almost any other topic I’ve blogged about – clearly you people love your Cowichan-style sweaters! If you remember, I was concerned about ripping off real Cowichan sweaters. But I really do love this sweater so much that I hope it can be taken as a tribute to the original style. And it’s a much nicer tribute than the ubiquitous (at least in Vancouver) TNA sweaters everyone’s been wearing, don’t you think?